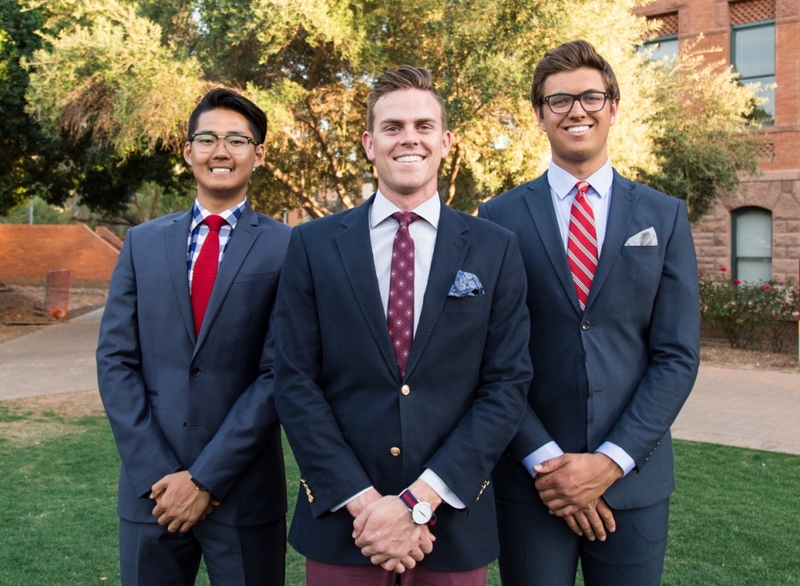 Get to know the Smith 2017 executive ticket, one of four tickets running in this year’s Undergraduate Student Government elections on the Tempe campus. Brian Smith, a design management junior with a minor in business, is running for president. He is joined by vice president of policy candidate Grant Wallace, an economics sophomore with a minor in math, and vice president of services candidate Chenxi Zhao, a media and sports marketing junior. Why are you qualified for the positions you seek? Reach the at politics.statepress@gmail.com or follow @chriswood_311 on Twitter.